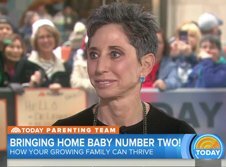 As a pediatrician who has referred countless patients to Betsy for nearly 10 years, I trust her unique and successful blend of wisdom, compassion, and insight–from sleep and food issues, siblings, tantrums, divorce, adolescence, and virtually anything else that causes a family stress, Betsy knows EXACTLY what needs to be said. Simply put, this book should be required reading for every parent. Betsy is the parenting guru! She has helped so many of my patients navigate tricky parenting situations. She has also given some of the kindest, loving, age appropriate advice to families dealing with challenging situations. She is the parenting specialist I turn to time and time again. Betsy Brown Braun is a fine observer of children…. Betsy’s wisdom, expertise, and knowledge — regarding all age groups — is amazing! In my work I encounter situations of all kinds, and I often consult with Betsy. Every time she gives me pearls of wisdom that enrich my approach to children. I feel more confident and equipped to handle the bumps on the road in part because I can turn to you. You are a real gem and so rare. Thank you for doing what you do! My whole family benefits. Betsy has a wonderful way of communicating the essentials in a straightforward manner. She cuts to the chase and does not sugar coat issues that are important and detrimental to effective development of children’s social and emotional growth. As adults we often stumble in the area of communication, and when talking to pint-size people, we can feel as though we have three heads!! Betsy normalizes parental emotion and leads the way to an easier effort at problems solving with our kids. Betsy’s parenting tips are worth their weight in gold…She is the go-to expert for parents at the end of their rope! …Betsy does not beat around the bush, she zeroes in on the issue and helps you shift behaviors almost imperceptibly so that a productive environment for change is created in the parent child relationship. Her columns have always generated the majority of our comments on TheOnlineMom.com – our community. She is a uniquely engaging author with wide knowledge, experience and loyalty from her millions of readers. Betsy Brown Braun offers insight and expertise into one of life’s the most challenging and rewarding endeavors – parenting. Her direct approach provides support and guidance to navigate these often-uncertain waters and to help facilitate a more joyful parent-child connection. Betsy’s wisdom and wit guides parents in the skills of child rearing…Her influence today, may just make a difference in making the world a better place tomorrow. … without Betsy’s common sense, developmental expertise, sense of humor, loving and respectful nurturing, I don’t know where our family would be?… I live and parent by her every word!!! Betsy is an icon in child development…Her “tell it like it is” approach doesn’t leave any room for misinterpretations. Betsy Brown Braun…is a gifted parenting specialist and inspirational mentor to me…Betsy has inspired me as an early childhood educator and parent. Betsy Brown Braun is rare combination of intelligence, experience and humor….she is a remarkable gift to the lives of parents and children. – Barbara K. Polland, Ph.D., M.F.T., Professor Emeritus California State University, Northridge, Child and Adolescent Development, Author of the children’s book, We Can Work It Out! Betsy offers the clearest, calming, and most helpful advice there is on parenting. She understands the individual needs of different children, and helps parents find practical solutions that will work for every family. She’s like having the smartest, coolest, and amazingly right mom just a phone call away. Every parent should read this book! Betsy’s wise words have helped many of my patients navigate the perils of parenting and end up with a fun, fabulous and functional family. Just Tell Me What To Say has become a regular “go to guide” in my office for practical solutions to every day parenting issues. I look forward to referring families to her for years to come.